Meditation and/or prayer are a common part of most spiritual belief systems. Both are useful practices. You may choose to do one, the other or both. Engaging in these practices on a regular basis allows us to form a stronger connection with those we follow, and with the universal energy. Meditation is useful as it allows us to clear our minds. Taking this time to will away the thoughts and ideas our minds are filled with each day allows us to understand peace, and opens us up to hearing the messages of the universe. Even when we aren’t aware of it, our minds are constantly thinking and processing. Meditation allows us to find calm and experience things without the interference of the world around us. 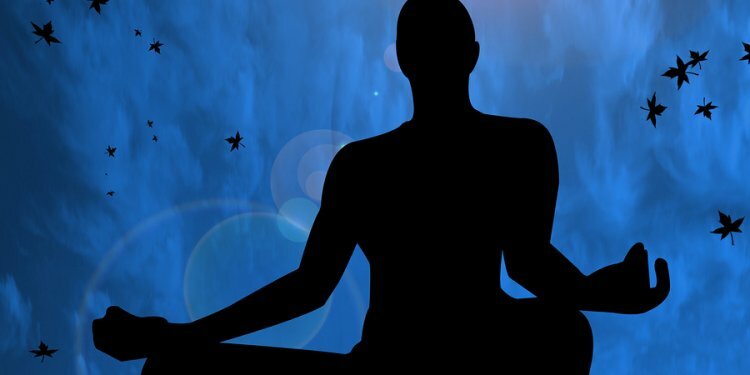 Many people find meditation to be difficult, but it doesn’t have to be. Sitting in a “meditation pose” isn’t necessary. It’s wonderful if you can, but sitting in a comfortable chair or lying down is fine. I often meditate in the bath as well. All that’s important is that you’re comfortable. If you’re sitting in a pose that hurts, you’ll be distracted and won’t be able to clear your mind. Clearing the mind is also hard for some people. My favorite method is one I learned from Michael Beckwith. Instead of fighting the thoughts that come into your head, imagine them as clouds that gently drift away and out of focus. It’s so gentle, and I found that even after years of not being able to meditate, the cloud method works. We should take some time, at least a few times a week, to meditate. It’s good to give your brain some time to not think. Let your mind be clear and at peace. It relieves stress, gives a sense of peace and calm, and opens you to messages from the universe. When you’re meditating and not consciously thinking, you can feel inspiration and receive knowledge that will aid your life. Conscious thought often pushes these instinctive gifts and lessons away, but when meditating, we can hear them and know them as truth. Prayer is a different practice, since it is done consciously. Prayer is basically talking to Them or to the Universal Source. One may also pray to whatever aspect of deity they choose to see or need at a given time. What’s important to remember is that prayer should not be used only in times of need or wanting. They don’t exist just to give us stuff or help us out. Praying is not meant to be synonymous with asking. Prayer is a conversation with the energy beyond us, in whatever form we choose to see it. It’s actually a good practice to pray with gratitude and expression of joy. Have a conversation with Deity about what you are grateful for. Thank them for the beauty of the world. Tell them of your joy and the good you have done or seen done. It’s not that you can’t talk to them when you’re in sorrow or need, you can, but there should be balance. Think of it like talking to your best friend. If all you ever call them for is to give you things or do things for you, they’re going to stop listening. If you also tell them how grateful you are for their friendship and caring, remind them of the good in the world and share good thing with them, they will always be there for you. How often you pray is up to you. Some people may want to do it every day, or once a week. It’s up to you. And remember, you can pray anywhere. We believe that churches and “holy” buildings are that and nothing more: buildings. They mean no more than your own home. You can pray in a place of worship, outside, or anywhere. No room is unworthy, no place unfit. You don’t need a rigid schedule, so long as you remember to communicate. Like a friend, They want to hear from you more than once a year. Personally, I meditate more than I pray. I chant more than either, but that’s another topic. What you do and how much should be a personal choice. There’s no magic number that is required or even recommended. “Regularly”, whatever that means to you, is how often you should pray or meditate. You may also supplement your communications with other practices, and we’ll get to that in future posts. I’ve found “prayer” to be functionally useless. But meditation daily and nearly-daily yoga have helped me tremendously. Meditation can be used to increase your power too. It’s not just for stress relief. It’s helpful with increasing strength in a variety of ways, done correctly. Prayer isn’t functionally useless for many people. I’ve seen even militant Atheists talk to themselves. It’s a matter of perspective, not religious affiliation.